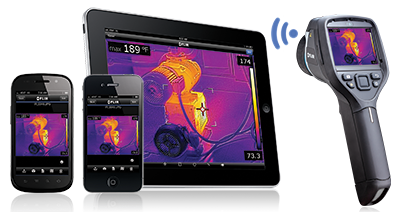 One of the Fastest, Most Accurate and Versatile Infrared Cameras Available, with Wi-Fi Connectivity to Tablets & Phones, Easy Report Creation & Long Battery Life! 2-year warranty coverage on camera, 5 years on batteries, 10 year on the detector, the most important part! The FLIR E8 IR Camera with MSX and Wi-Fi gives you the ability to offer your customers faster, superior information and results they can count on. 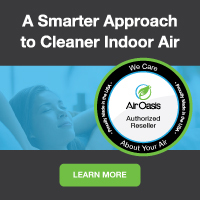 Order yours today and jump ahead of your competitors! There are not many official online retailers of FLIR products and unfortunately the internet is full of scams. As a general rule of thumb, if the deal seems too good to be true, it probably is. Cheap cut rate online deals often end up being a used or refurbished unit, which do not come with FLIR's top rated warranties. Or even worse, you may end up buying a cheap discount unit that doesn’t have the energy efficiency, features or performance provided by genuine, top-rated FLIR infrared camera systems. When you buy your money and energy saving FLIR products from us, you get a brand new unit, at the best possible price, with FLIR's amazing 2-5-10 year warranty. Our innovative partnership with FLIR allows us to ship directly from their warehouse, which cuts out the middle man and eliminates the high operating costs of traditional brick and mortar big box stores. These savings get passed directly to you, allowing us to offer brand new FLIR products at the best possible everyday cheap discount online sales prices. And buying from us is definitely better than direct--if you buy direct, you'll have to pay shipping. Buying from us, you always get fast free ground shipping as our thanks to you for shopping with us. If you have any questions give us a call or send us an email and one of infrared camera experts will be happy to help.